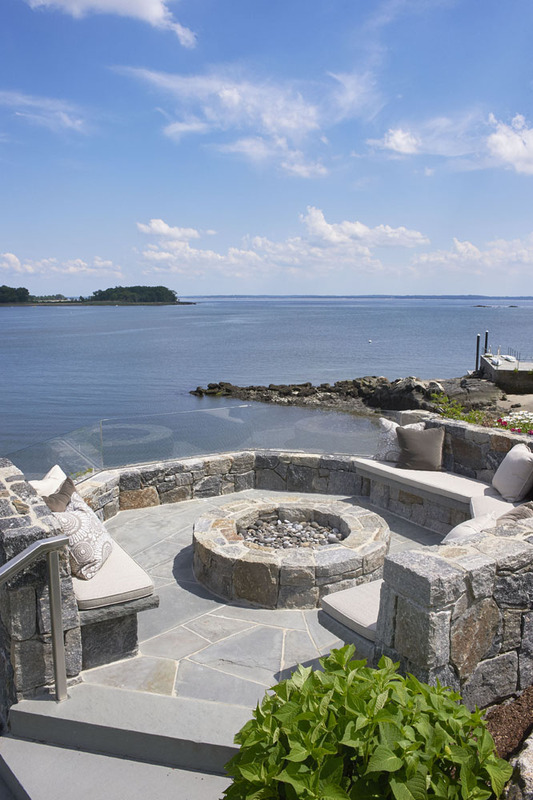 An elevated piece of property along the rocky coast of Greenwich with views out to the town’s charming islands was indeed a find, but also posed challenges. 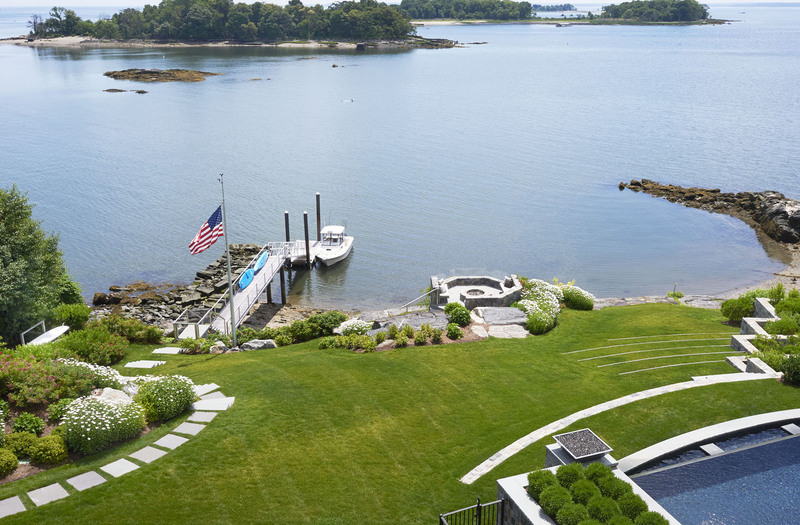 The site was a deep lot with large neighboring houses on each side potentially obstructing views. 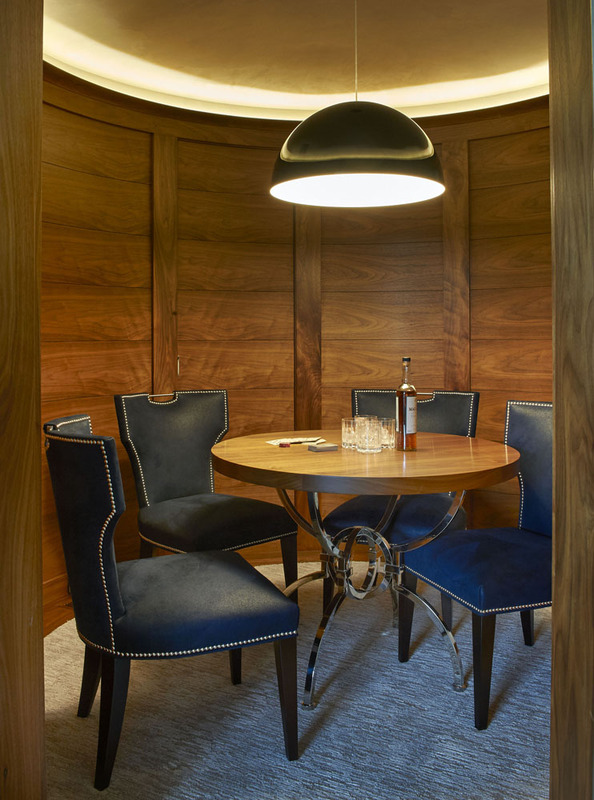 The design solution presents two rectilinear volumes canted in the middle with two circular rooms - the breakfast room and dining room - serving as pivots. 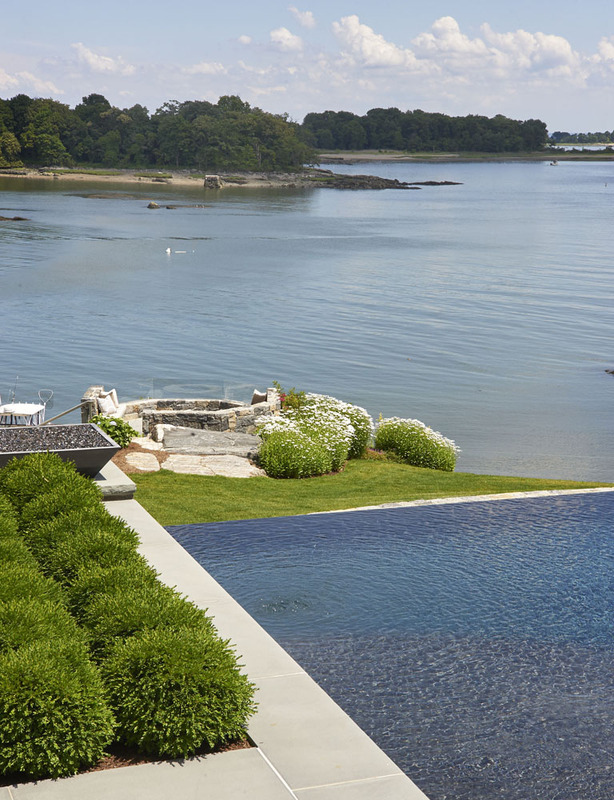 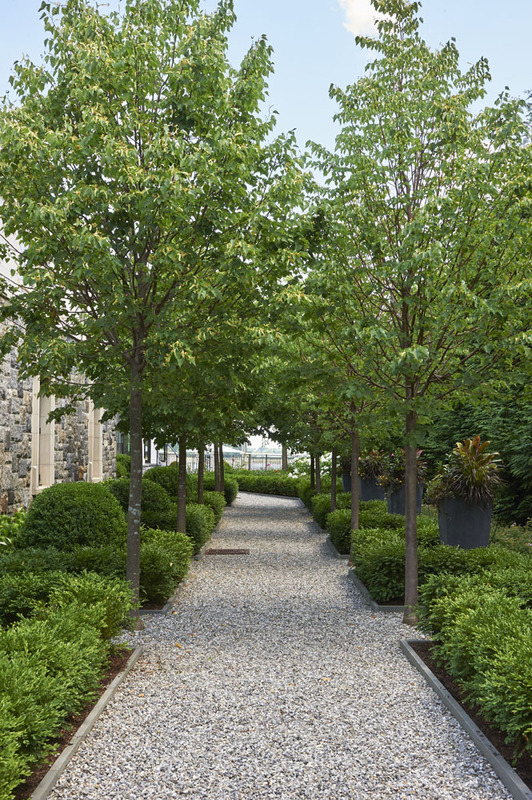 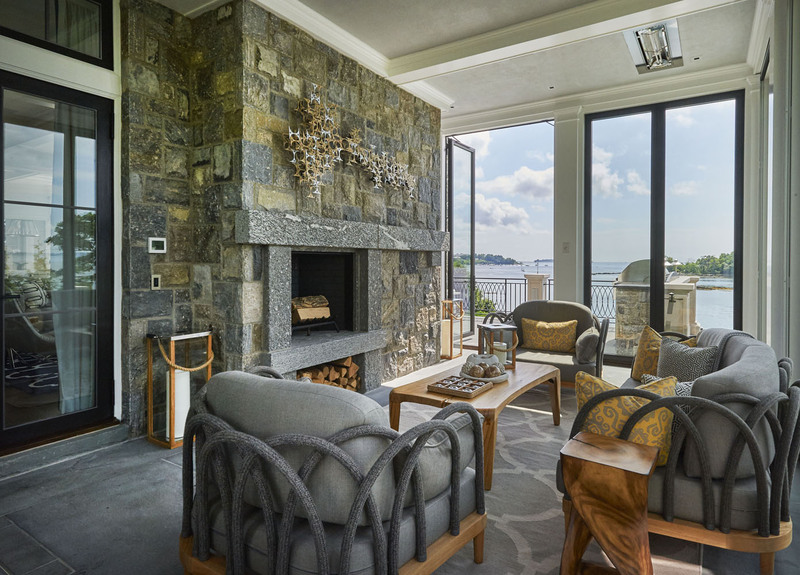 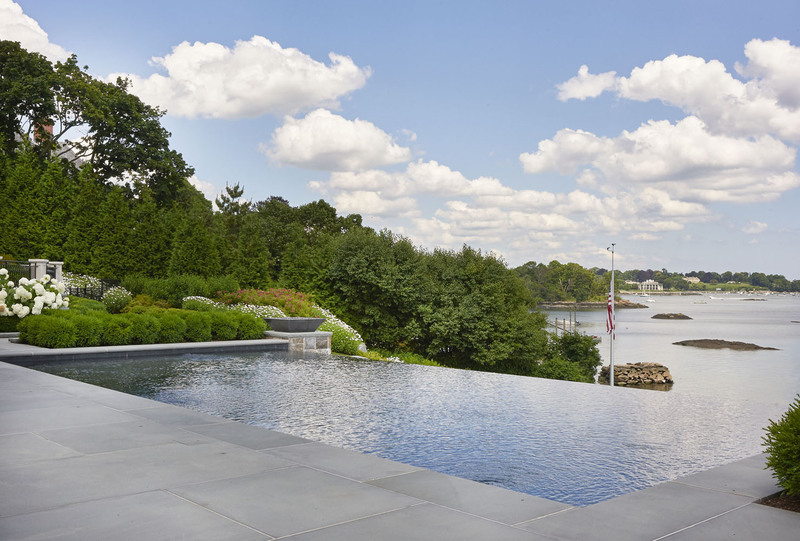 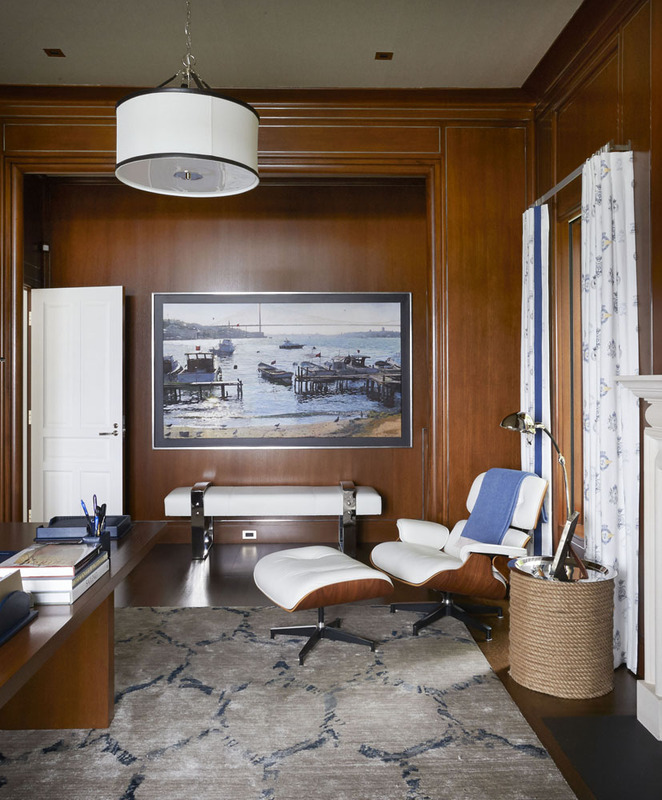 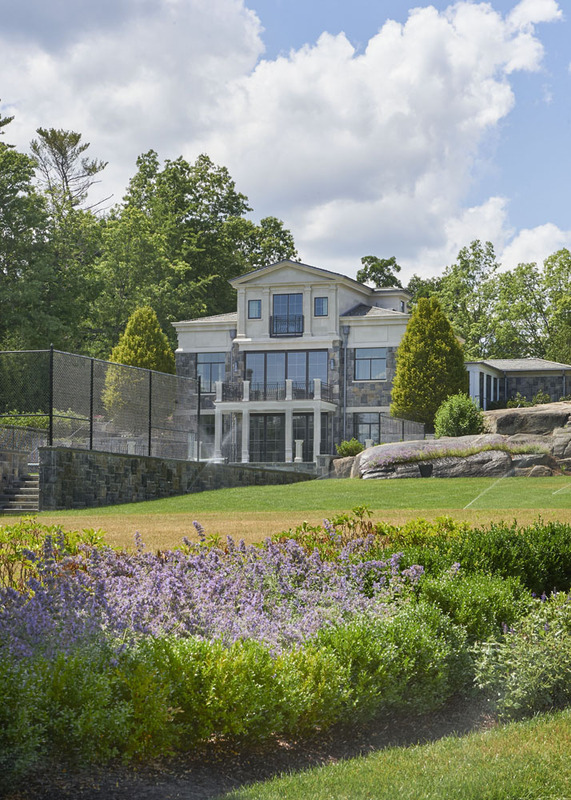 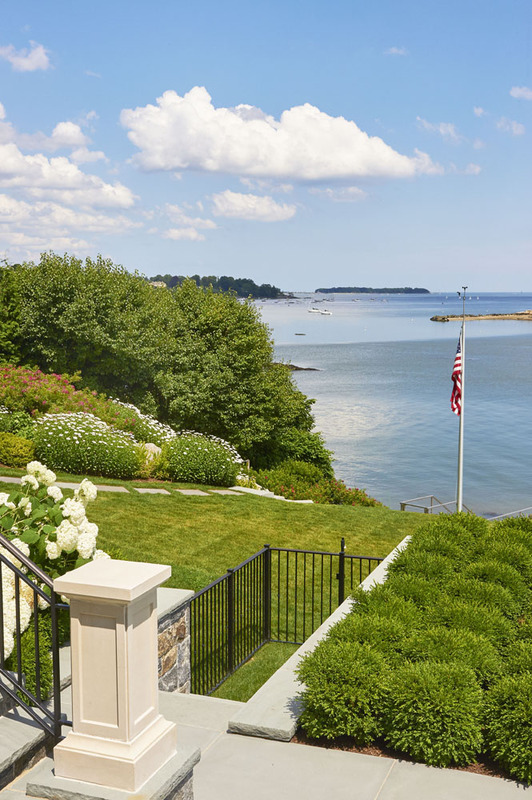 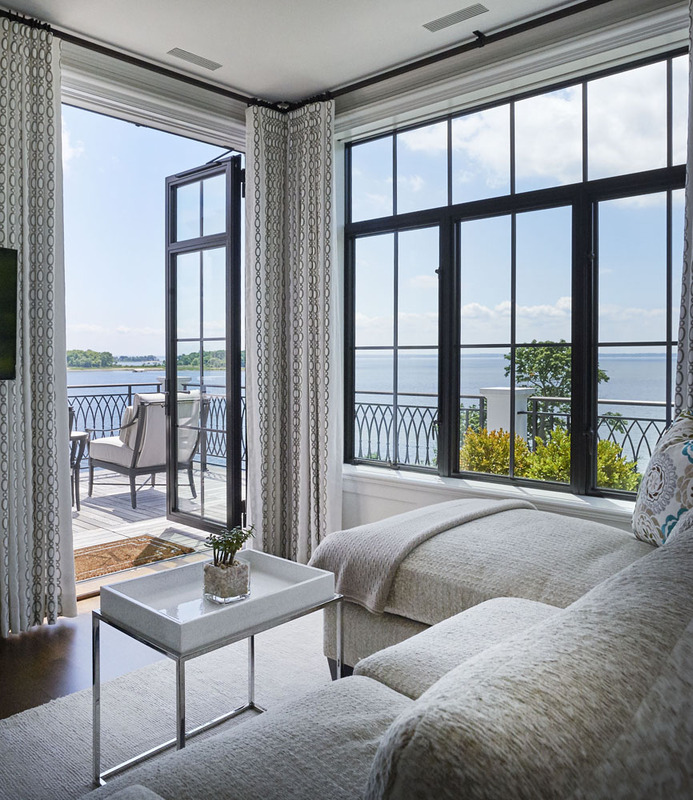 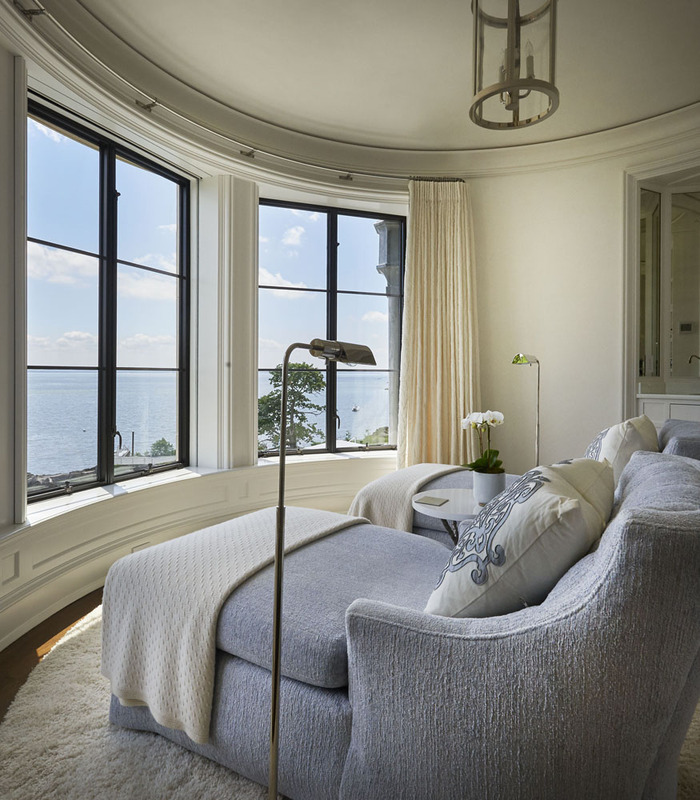 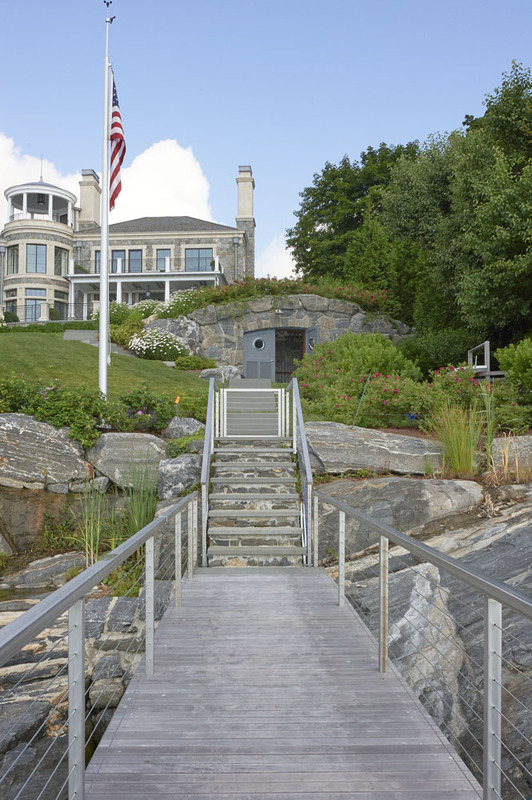 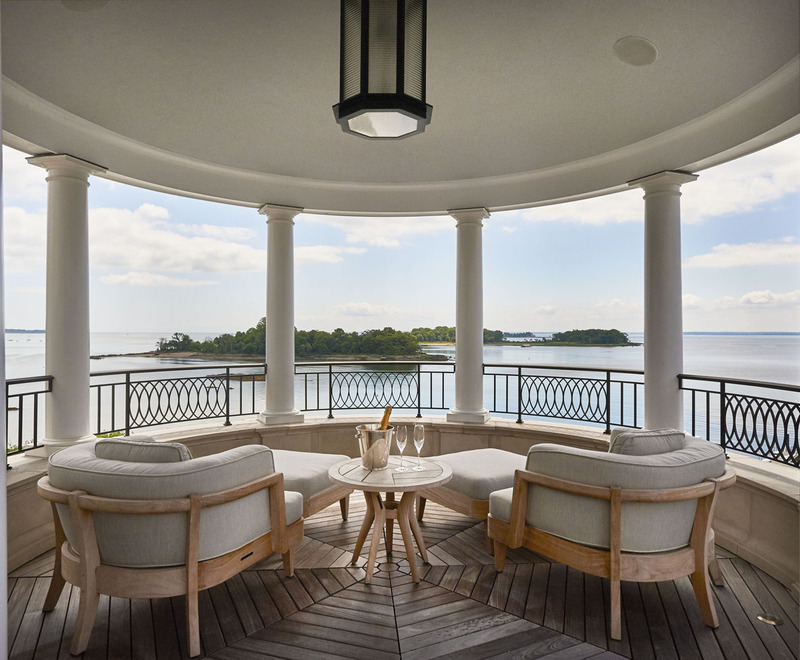 The result is unobstructed water views for most of the rooms in this 10,000 square foot stone house. 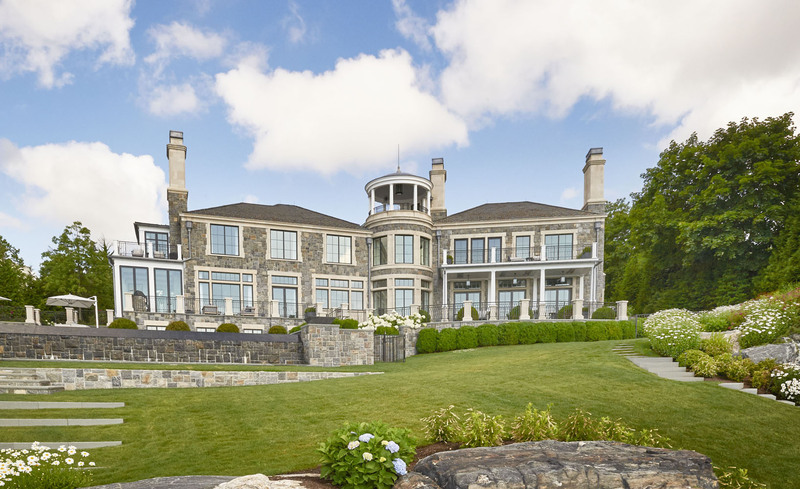 Cast stone elements on the exterior lighten and contrast native Connecticut stone with elements of the Greek order – columns and pilasters – creating a crisp European esthetic. 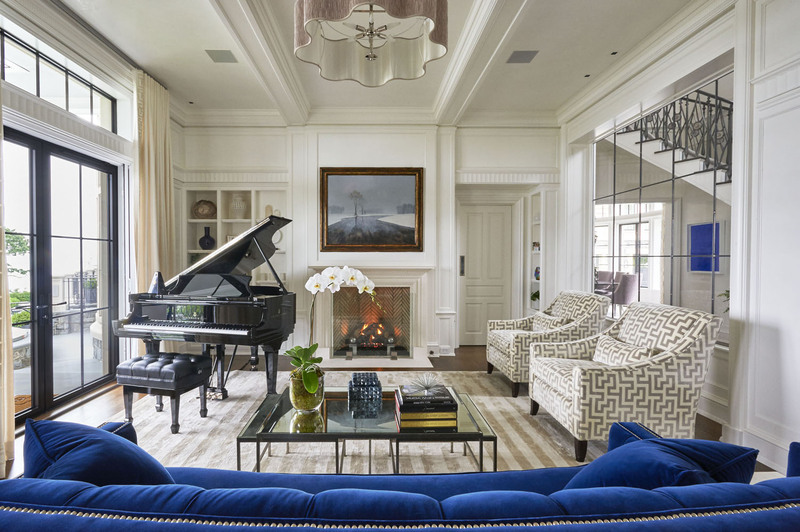 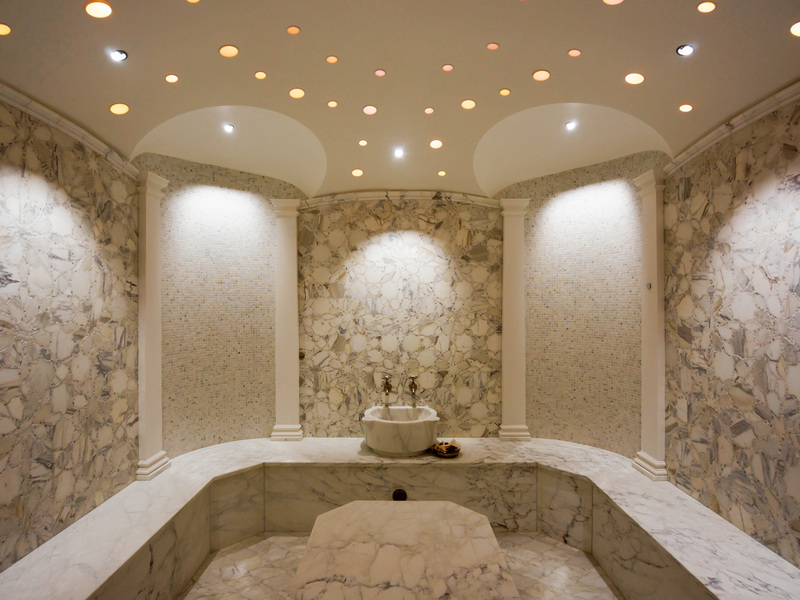 Detailed interiors too draw from European roots with décor reminiscent of Turkish design embracing the homeowner’s heritage. 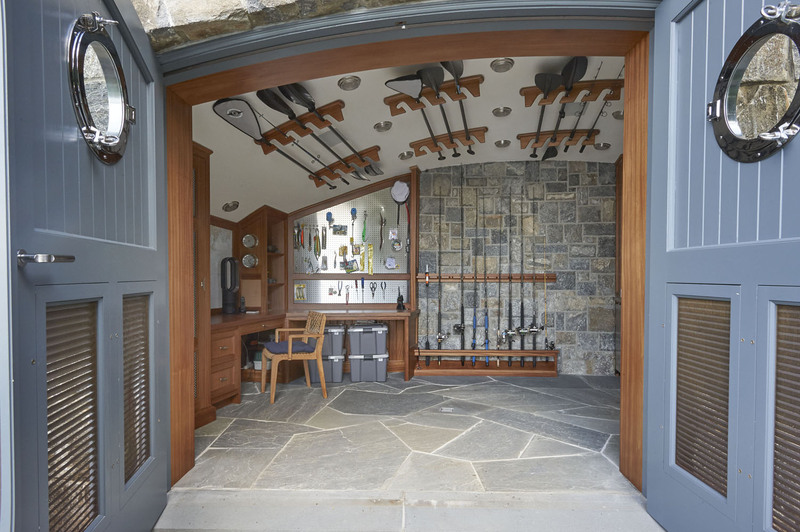 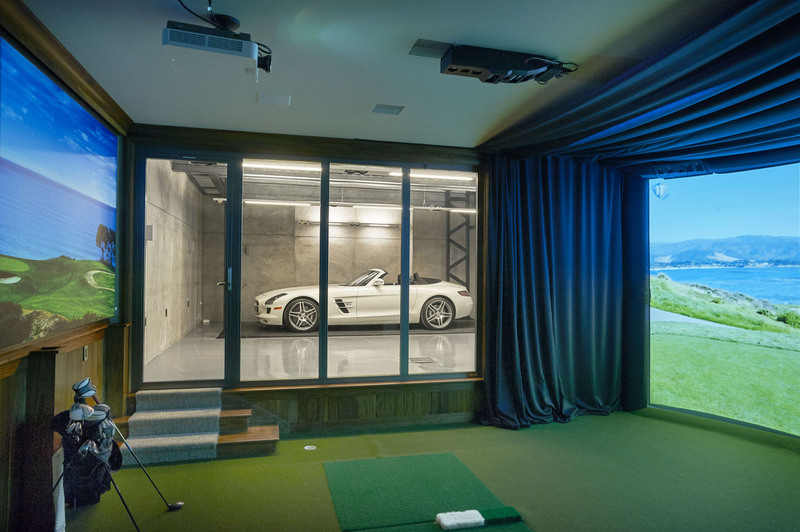 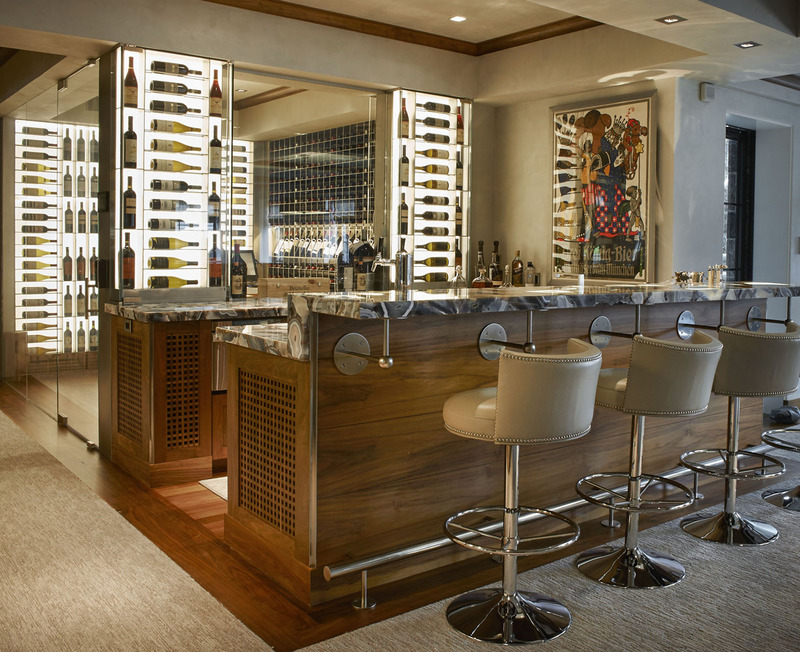 Custom design abounds throughout with numerous spaces designed for this young family’s many interests.